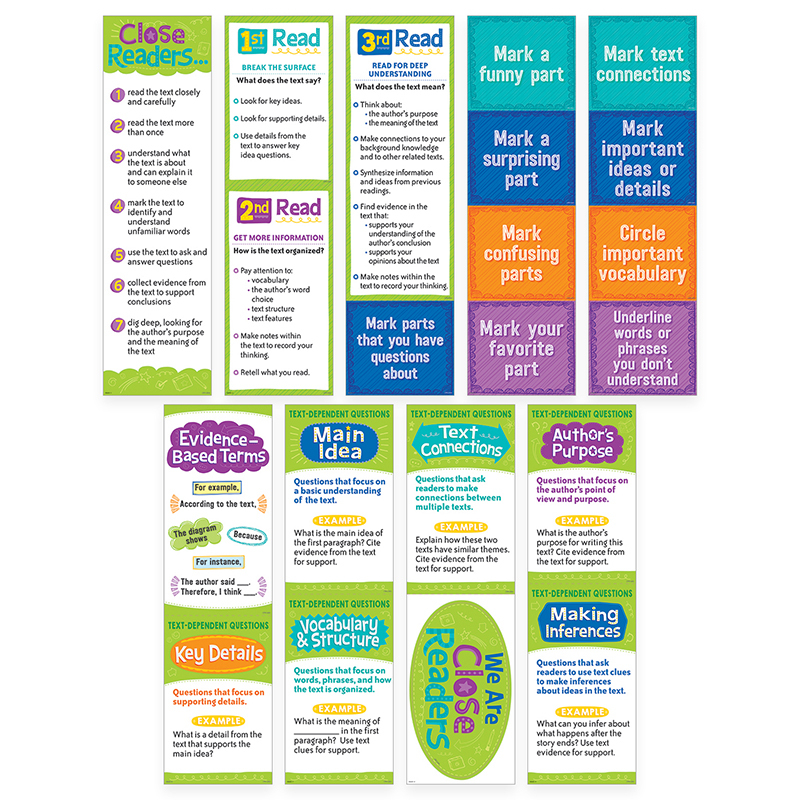 Help students understand what it means to be a close reader with the 21 pieces in this informative set. Use the pieces to introduce students to reading strategies that will enable them to gain a deeper understanding of a text by asking text-dependent questions and expressing their comprehension using evidence-based terms. Work together as a class to closely read and further investigate a text using the text annotation cards. Use the content-rich pieces for instruction, for reference, and to support core learning standards! Perfect for grades 3—5. Pieces range in size from 6?x 5.25" to 21?x 6?